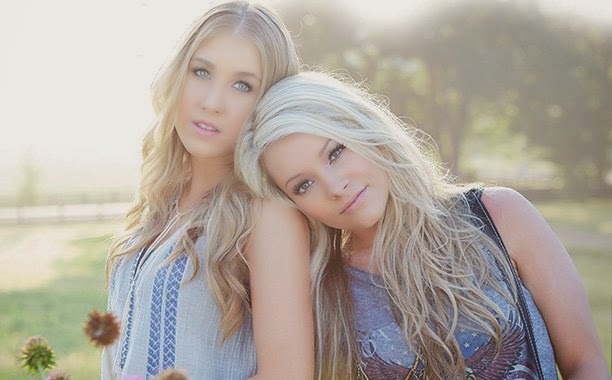 Maddie and Tae’s newest single “Fly” is a radical 180 from their debut single "Girl in a Country Song". There’s no teasing here, neither light-hearted nor heavy-handed. “Fly” is full of beauty in both vocals and story. A song meant to inspire perseverance and strength does an excellent job of both. One meant to dispel fear and grant hope done in a very poignant manner. “Fly” possesses an uncommon gentleness, deftly handling every moment with calf-skin gloves. I can’t get over how different their voices sound in this song. It displays both range and depth that bodes well for their sophomore single and career longevity. As polarizing as their debut was, this is a message that will and should garner mass appeal. Every line a strong statement of optimism and persistence, this is the kind of writing that deserves to be known by everyone. The kind that should flourish on the airwaves everywhere. Blasting from the tinny speakers of a bargain laptop in a college dorm, on the car radio cranked way up singing every line, on the way to a job interview or a new town. This story has no age limit because it is needed in every phase of life. A little boost to brighten someone’s day or to quell the nerves on the way to a huge presentation. Not only are the lyrics to be extoled but the vocals are beautiful in such a way it’s near otherworldly. Maddie and Tae will be touring on Dierks Bentley’s “Sounds of Summer” tour as support along with Kip Moore and Canaan Smith. Reviewer’s Note: Congratulations on the tour girls! Hope that plunge wasn’t as cold as it looked!